What is the #YouAreWelcomeHere scholarship program? Beginning in fall 2019, Cedar Crest College will offer two annual, renewable scholarships that cover a minimum of 50 percent tuition to selected international undergraduate students dedicated to advancing intercultural learning and understanding at Cedar Crest College. First-year traditional undergraduate international students who have applied to Cedar Crest College can apply for the #YouAreWelcomeHere scholarship. All traditional undergraduate academic majors and fields of study are welcome to apply. #YouAreWelcomeHere scholarship covers a minimum of 50% tuition and can be renewed on an annual basis. You are a first-year traditional undergraduate international applicant to Cedar Crest College. An international applicant is an individual who holds citizenship in a country outside the United States and who does not also possess U.S. citizenship or permanent residency. You have completed the scholarship application and a 500-1,000 word essay or a 2-5 minute video describing your aspirations to conduct projects, research, employment or other experiences that will advance intercultural learning. The completed scholarship application should be sent directly to Cedar Crest College Admissions (admissions@cedarcrest.edu). A link to the #YouAreWelcomeHere Scholarship application can be found here. How can I apply for this scholarship at Cedar Crest College? Apply for admission to Cedar Crest College and submit all required application materials. Complete a scholarship application, including a 500-1,000 word essay or a 2-5 minute video describing your aspirations to conduct projects, research, employment or other experiences that will advance intercultural learning. The completed scholarship application should be sent directly to Cedar Crest College Admissions (admissions@cedarcrest.edu). A link to the #YouAreWelcomeHere Scholarship application can be found here. 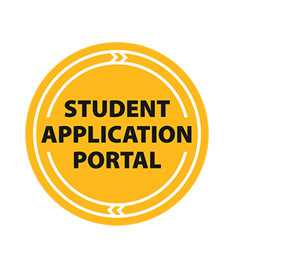 All application materials must be submitted by December 15, 2018. We will notify the scholarship recipients early in 2019 and you must be officially enrolled at Cedar Crest College, and submit your tuition deposit, by May 1, 2019. More information about the #YouAreWelcomeHere Campaign can be found here.